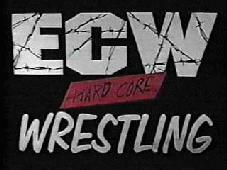 ECW (first Eastern Championship Wrestling, later and more well known as Extreme Championship Wrestling) was a Philadelphia based wrestling promotion who had it's greatest success in the 1990s. The promotion is remembered for it's weapon laded matches, it's intentionally controversial storylines, and showcasing young talented wrestlers who had not been yet by the mainstream promotions. ECW was an important gateway to WWE and WCW for many wrestlers who'd later be stars in the late 90s and following decade. ECW's lucha libre first connection was as the "US debut" of Rey Misterio, Psicosis, Juventud Guerrera, and other AAA luchadors. The luchadors had previously appeared on lucha libre shows in California, but these were their first major matches in front of US audiences which were not mostly Hispanic. The AAA luchadors came to ECW thru the work of Konnan, and would have a few memorable matches before a similiar deal took many of the same luchadors to WCW full time. ECW did continue bringing in occasional luchadors after their deal with AAA, with names like Antifaz del Norte and Mosco de la Merced making brief appearances. The most lasting luchador in the promotion was Super Crazy, who found a lasting level of success in ECW that he had not yet reached in Mexico. Crazy's experience in ECW, and particularly his feud with Tajiri, established him as an international name for the rest of the career. WWE would acquire the name, logo, and video collection of ECW after it's bankruptcy, and brought the brand back in the mid 2000s. A revival show for that promotion, and lucha libre participation on the show, led to WWE to bring in Crazy, Guerrera, and Psicosis into their main group for a time. Though shortlived and only barely ever profitable, ECW's style has been very influence on new independent promotions, most notable when it comes to weapon and bloody matches. There were definitely those type of matches prior to ECW, and prior to ECW in Mexico, but a current generation points to ECW or those who've copied them as their inspiration. This page was last edited on 6 January 2017, at 03:50.